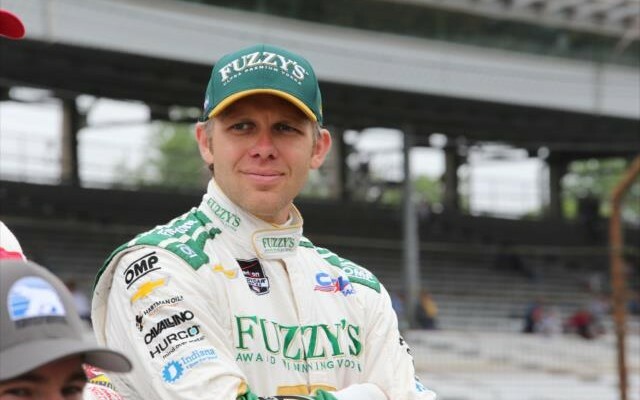 All it takes is one turn of bad luck to change a scenario for the Indianapolis 500 and that is exactly what has happened to CFH Racing’s Ed Carpenter Sunday morning at the Indianapolis Motor Speedway. Moments after posting a lap nearing 231 miles per hour, the Indianapolis-native lost control at the apex of turn two and made heavy contact with the SAFER barrier with the rear of the car. The vehicle then got up on the wall and the catchfence, sliding for about 100 feet and nearly hitting a track side television camera in the process. The car then rolled on its side for a further distance to the inside of the back straightaway before coming to a halt. Carpenter quickly exited the car under his own power and walked into the ambulance. He was cleared to drive after a quick check at the infield medical center. Carpenter would not comment in depth about the incident when asked by a member of the IMS Public Address Announcing staff outside the medical center. The incident is the second for CFH Racing this week, the first involved Josef Newgarden, who suffered a tire puncture and then impacted the barriers in turn one, an incident that also forced his car onto its side. 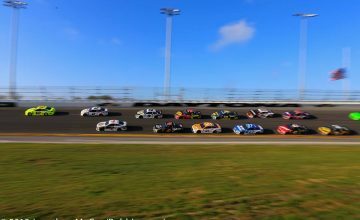 This is the third noted incident of a car flipping after wall impact following also Team Penske’s Helio Castroneves’ shunt on Wednesday afternoon. The accident also has changed the plan of attack in qualifying mode Sunday for all teams. All 34 runners will qualify later today with major adjustments to the rear side pod aerodynamic kits and also will not run with the extra qualifying boost allotted by Verizon IndyCar Series officials on Fast Friday. They will instead call upon the boost pressure setting planned for race day. 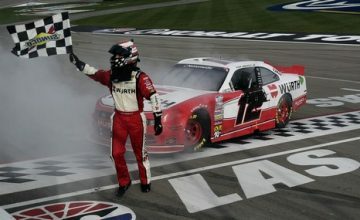 With qualifying likely to now be delayed due to repairs being made to the catch fence where Carpenter’s machine impacted and also to allow for the second half of the qualifying draw an opportunity to practice to test their setups, the time factor for CFH Racing getting a spare car ready for Carpenter may no longer be a concern. Also aiding the situation is the fact that weather forecasters in the Indianapolis area have adjusted the forecast predictions for the afternoon hours to cloudy conditions with only a 20 percent chance of showers now being reported via weather.com. At the start of the day, forecasted predicted a 60 percent chance of rain and thunderstorms this afternoon at the Indianapolis Motor Speedway. Still, Carpenter will have to deal with the pressure of qualifying with a car he has had no laps on the 2.5 mile oval with so far this week, plus with perhaps less power than the rivals Hondas will have at their disposal. Stay tuned to Rubbings Racing online and on Twitter for further updates throughout the day.